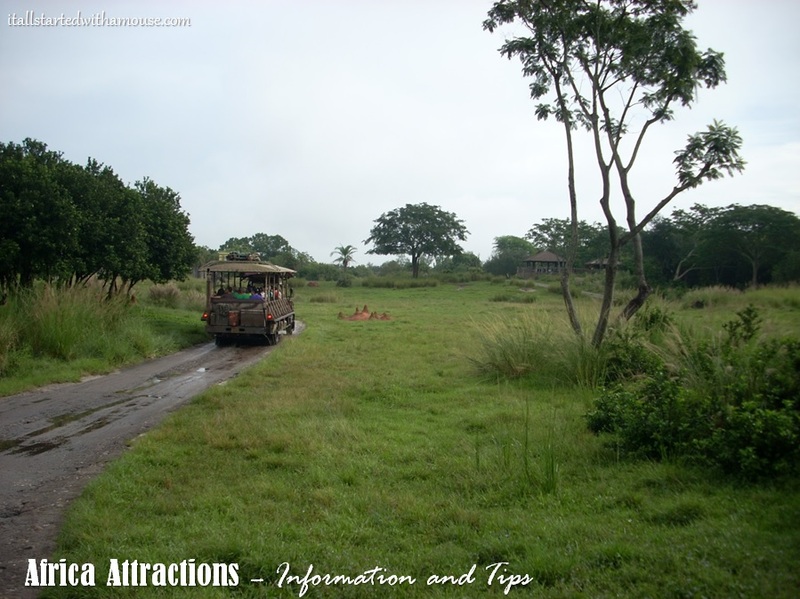 Below is an overview of the attractions at Africa in Disney’s Animal Kingdom. One of our favorite shows at Disney World, this incredible show features music from the The Lion King, acrobatics, and even audience participation! Festival of the Lion King is not to be missed! Kilimanjaro Safaris is jam packed with live animals (some of which are free-roaming), beautiful landscapes, and fun! There is a handy animal reference guide in the truck to help you identify the animals you come across. The ride is very bumpy, so keep that in mind if you get motion sickness or have any physical limitations. Tip: Early morning is when the animals are most active, so try to head over here first thing if possible. Tip: Outside seats have the best views! Walk along the Pangani Forest Exploration Trail to see okapi, hippos, a troop of gorillas, meerkats, and more on this beautiful trail.